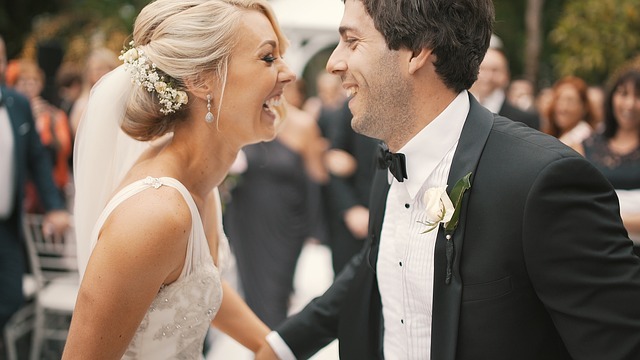 Weddings are meant to be fun for everyone, more so for couples exchanging vows and pledging their love for each other. However, it’s easier said than done when brides and grooms have so much running through their minds before and during their wedding! If you are planning to tie the knot soon and are already worried sick about how you’ll manage things on your big day, you’ve come to the right place! Here are 7 amazing tips to help you plan and manage your wedding so you can savor each moment of what will be the most important day of your life. These days, there’s an app for everything to make life easier. 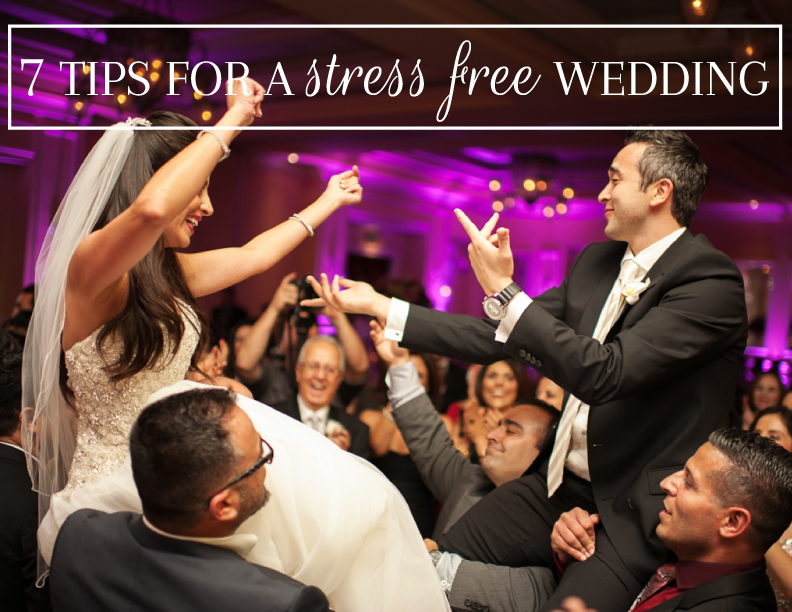 So why stress yourself out before and during your wedding? Simply download one of the many wedding planning apps available on your smartphone and you’ll be able to sort things out effortlessly on D-day. If you don’t have a professional wedding planner on board, you’ll have to plan all events right from photography sessions to the first dance according to the time they’ll take. Keep in mind that things are bound to fall behind schedule during weddings, so allocate enough time for it all. Consider traffic conditions when planning routes to wedding and reception venues. Check out traffic conditions on the same time of the day and day of the week as your wedding day for accuracy. 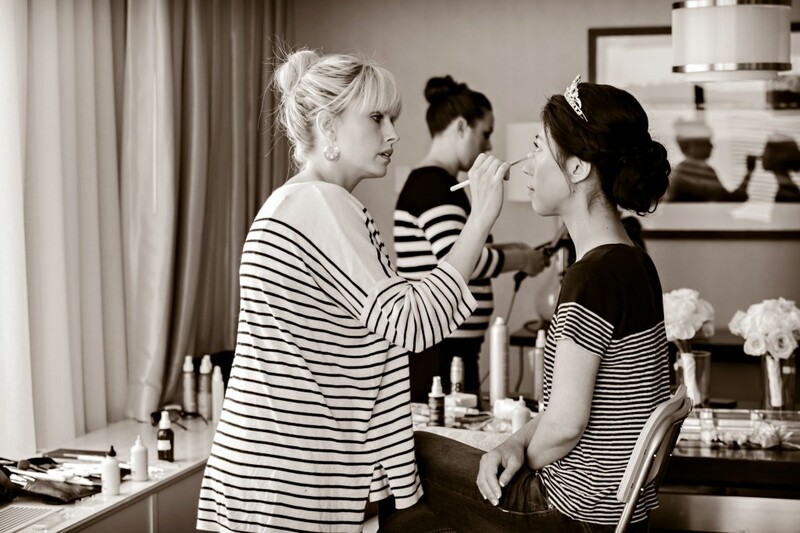 All the same, if you’re trying to bring down costs by hiring just one hairstylist or makeup artist, you will need to give them more time to get you and your party ready. If you’ll be having more than two bridesmaids or groomsmen getting ready with you, either use a fairly large room or make extra rooms available so that everyone has their own space to get ready. Doing so will not only keep chaos at bay, but will help save time too. Do tidy up the room you’ll be getting ready in the night before so that there’s no mad rush to find things or get unwanted items out of the way. Cleaning up in advance will also ensure you get great pictures on your wedding day. 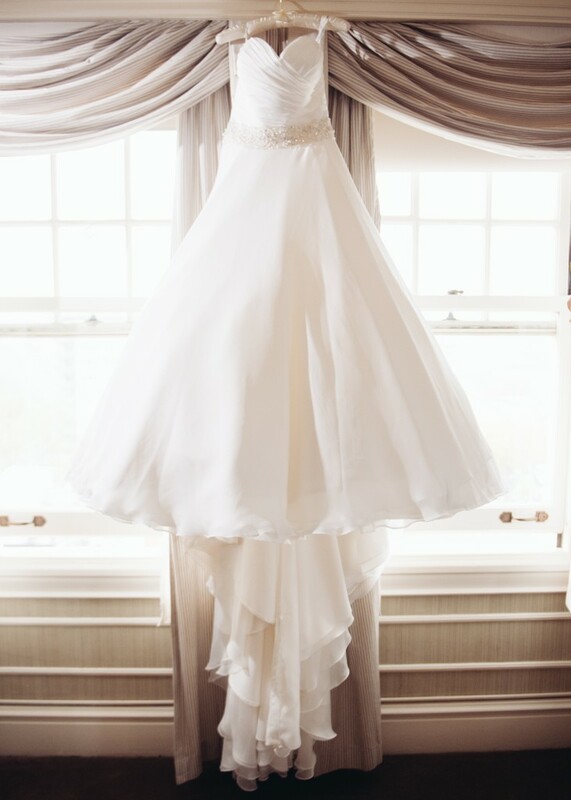 Most importantly, pick a room with great natural light- your stylist and photographer will thank you for it! Keep all your grooming essentials, makeup and styling products, undergarments, wedding clothes, and other items you’ll need in the room you’ll be getting ready in beforehand. This will save time and help you get ready faster on your wedding day. Give your wedding suit or dress enough space to breathe – hang them on wooden hangers a little away from all the mayhem so as to not get any stains or creases on them. Brides should be equipped with an emergency kit that includes baby wipes, tissues, safety pins, bobby pins, hair spray, makeup, lotion, sunscreen, mouth fresheners, tape, Band-Aid, and pain relieving tablets. You don’t have to carry this kit with you, ask one of your bridesmaids or relatives to keep it with them. Grooms usually don’t bother with all this, but you can tell your bride-to-be to pack some extra wipes or pain relievers for you! Appoint a friend or a relative you can count on to take care of the small things- like ensuring the seating plan isn’t messed up or that the rings are safe. You’ll also be too busy to answer calls so hand over your mobile to this trusted individual and let him/her deal with the not-so-significant things. Start taking care of yourself well before your wedding by eating right. Also remember to drink adequate water throughout the day to stay hydrated and bring a natural glow to your skin. On the day of the wedding, eat breakfast rich in protein and healthy carbohydrates. These will take time to break down and give you a steady supply of energy- something you’ll need as you might go long periods without eating anything. Furthermore, be sure to get a good night’s sleep before your big day so you wake up refreshed and can be your best. Schedule bachelor/bachelorette parties a couple of days before the wedding so you don’t look bloated or tired! Weddings can get crazy but you don’t have to let the stress get to your head and stop you from making the most of such an important day in your life. With the tips given here, you now know how to get a grip on yourself and manage your wedding day so that everything proceeds smoothly. So just quit worrying, sit down with your spouse-to-be and make a note of all that you need to do. Korie Cantor is crazy for sharing her creative thoughts and ideas related to fashion, beauty, health, wedding and lifestyle. She possesses a great sense of style. Being a fashionista, she loves to try latest trends. Get connected with her on Twitter at @koriecantor.